A hazy night in Hutchinson, Kansas, complicated attempts to photograph last night's total lunar eclipse, but fun could still be had. 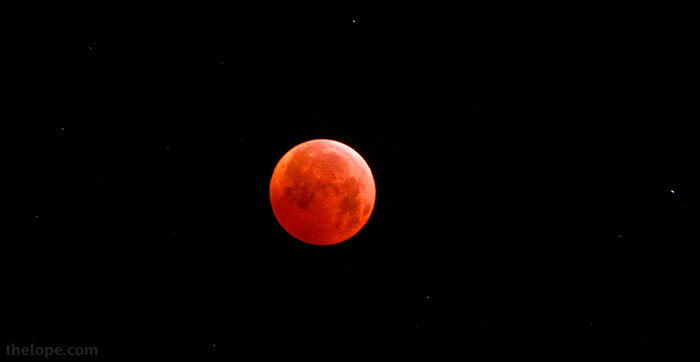 At 2:24 AM just after the middle of totality last night, the eclipsed moon is orange with light that has passed through Earth's atmosphere. I couldn't get really sharp photos of the fully eclipsed moon without a camera platform that moves to compensate for Earth-Moon movement, but there were other ways to utilize this rare opportunity. Zooming out from the closeup at top, the orange moon (above right) makes a fine companion to the constellation of Orion, below. 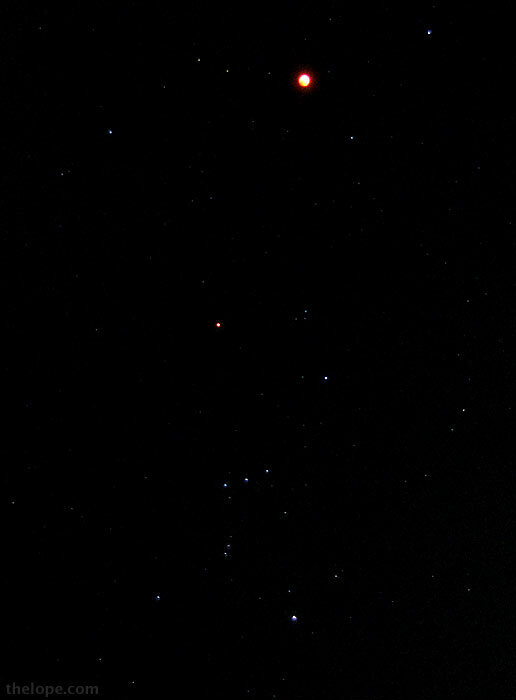 You can also see the pronounced hue of the red giant star, Betelgeuse, slightly to the upper left of the center of the picture. 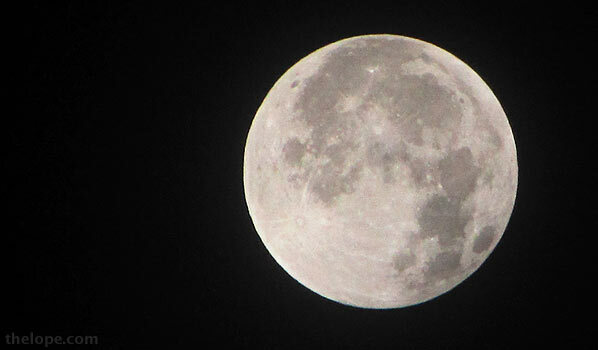 Exposure is the main difference between the photos above and below, shot as the moon began to exit the Earth's shadow. This one was exposed for the darkened part of the orb. Whereas this was exposed for the sunlit part. I enjoy the unique crescent moons we get from eclipses. After the eclipse ended, we were back to having a bright but hazy moon which would set this morning in Autumn and rise tonight in Winter. Boring photographer stuff: Two cameras were used; both are big, clunky Canon 20x point and shoots: SX1 and SX10. The cameras were on tripods, I was on caffeine. Great photos. 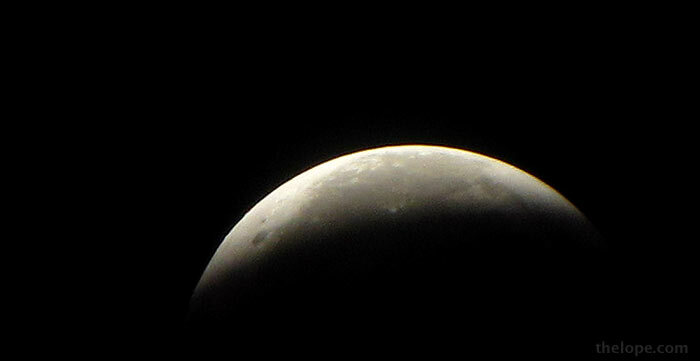 It was my first night time lunar eclipse. It was very cool. Your photos capture the magic well.